We recommend making reservations at least three weeks in advance to ensure we have availability for your vacation dates. You can contact us by phone or e-mail, or use the form below. We will try to respond to your inquiry as soon as possible, generally within 24 hours. 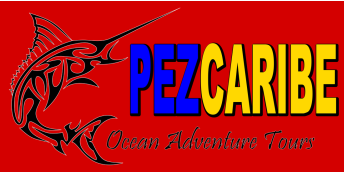 We have charters serving Playa del Carmen, Puerto Aventuras, Puerto Morelos, Isla Mujeres, and Cancun. All are within an easy taxi or shuttle from your hotel. Some charters are eligible for private transportation. Please inquire for details. Please fill out the form and specify the type of trip you would enjoy most in the comments section so we can better customize an adventure just for you! All fishing reservations require a deposit paid via credit card or Paypal in advance and include a $50 non-refundable service fee in the event of cancellation. The balance can be paid in cash the day of your tour (USD or Mexican Pesos). We can not accept credit cards the day of the tour itself. If you would like to pay in full with credit card, this must be stated during your reservation. Cancellations should be carried out at least one week (7 days) before your scheduled tour. Cancellations made less than 7 days prior to a booked tour are not eligible for a refunded deposit. Cancellations made less than 48 hours prior to a booked tour will incur an additional fee of $20 US per person. Cancellations made less than 24 hours prior to a booked tour or no-shows will be charged in full for the tour, and you will be obligated to settle your outstanding balance by PayPal no later than 48 hours after your scheduled tour departure. You will not be able to reschedule a missed tour without making a new reservation and paying a new deposit. Changes of tour dates can be done at least 48 hours prior to the tour date, provided that another date/time is available. Late arrivals: Please notate the time we are expecting you to arrive at the boat and make sure you arrive on time. If you arrive more than 30 minutes late, your tour may be forfeited and no refunds will be issued.